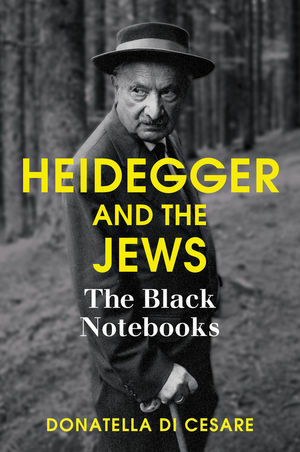 For much of the philosophical community, the Black Notebooks have been either used to discredit Heidegger or seen as a bibliographical detail irrelevant to his thought. Yet, in this new book, renowned philosopher Donatella Di Cesare argues that Heidegger's "metaphysical anti-Semitism" was a central part of his philosophical project. Within the context of the Nuremberg race laws, Heidegger felt compelled to define Jewishness and its relationship to his concept of Being. Di Cesare shows that Heidegger saw the Jews as the agents of a modernity that had disfigured the spirit of the West. In a deeply disturbing extrapolation, he presented the Holocaust as both a means for the purification of Being and the Jews' own "self-destruction": a process of death on an industrialized scale that was the logical conclusion of the acceleration in technology they themselves had brought about. Donatella Di Cesare is Professor of Theoretical Philosophy at the Sapienza University of Rome. "Donatella Di Cesare’s book restores philosophical balance to the debate on Heidegger and the Jews. It is a tour de force combining intellectual history and philosophical reflection on both the man and the thinker that goes well beyond the all-too-routine alternative of rabid condemnation or doggedly blinkered defense."